District Court Judge George B. Daniels found that Iran had failed to defend against claims that it aided the September 11 hijackers and was therefore liable for damages tied to the attacks. He ruled that Iran owed the family members $10 billion. More than 10-years after the September 11, 2001 al-Qaeda attacks, a federal district court judge in Manhattan gave a Christmas present to the families of victims killed in the worst terrorist attack in U.S. history. U.S. District Judge George Daniels ruled that Iran and Hezbollah materially and directly supported al Qaeda in the September 11, 2001 attacks and are legally responsible for damages to hundreds of family members of 9/11 victims who are plaintiffs in the case. This historic ruling revealed new facts about Iran’s support of al Qaeda in the 9/11 attacks, as well. Judge Daniels had announced his ruling in Havlish, et al. v. bin Laden, et al., in open court on Thursday, December 15, 2011, following a three-hour courtroom presentation by the families’ attorneys. Then Judge Daniels entered a written Order of Judgment backed by 53 pages of detailed Findings of Fact and Conclusions of Law on Friday, December 23, 2011. In Havlish, et al. v. bin Laden, et al, Judge Daniels held that the Islamic Republic of Iran, its Supreme Leader Ayatollah Ali Hosseini Khamenei, former Iranian president Ali Akbar Hashemi Rafsanjani, and Iran’s agencies and instrumentalities, including, among others, the Iranian Revolutionary Guard Corps (“IRGC”), the Iranian Ministry of Intelligence and Security (“MOIS”), and Iran’s terrorist proxy Hezbollah, all materially aided and supported al Qaeda before and after 9/11. 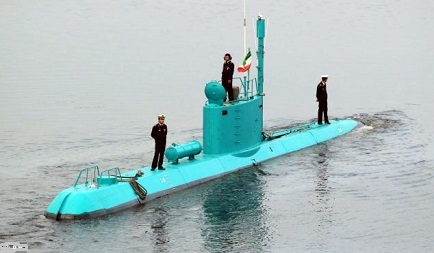 The latest submarine design for the Iranian navy. Much of their technology was stolen by Iran’s intelligence gathering units who hacked into the U.S. government IT operations. 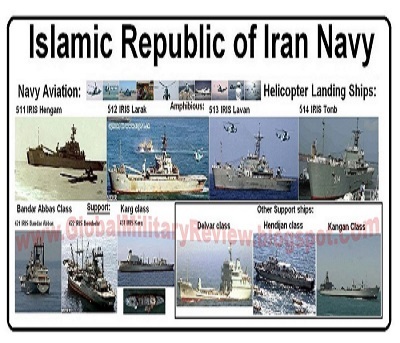 Judge Daniels also credited Mesbahi’s testimony that he received messages during the summer of 2001 from inside the Iranian government that an Iranian contingency plan for unconventional warfare against the U.S. called “Shaitan dar Atash” had been activated. “This is compelling proof that Iran was deeply involved in the 9/11 conspiracy,” said Tim Fleming, lead investigative attorney for the Havlish group. Abolghasem Mesbahi testified he was part of an IRGC-MOIS task force that designed contingency plans for unconventional warfare against the U.S., code-named “Shaitan dar Atash” (“Satan in Flames”) which included crashing hijacked passenger airliners into the World Trade Center, the Pentagon, and the White House. During the weeks before 9/11, Mesbahi received three coded messages from a source inside Iran’s government indicating that the Shaitan dar Atash plan had been activated. Mesbahi also testified that in 2000 Iran used front companies to obtain a Boeing 757-767-777 flight simulator for training the terrorists. Due to U.S. trade sanctions, Iran has never had any Boeing 757-767-777 aircraft, but all the airplanes hijacked on 9/11 were Boeing 757 or 767 aircraft. A May 14, 2001 memorandum from inside the Iranian government demonstrating that Iran’s Supreme Leader, Ayatollah Khamenei, was aware of the impending attacks and instructing intelligence operatives to restrict communications to existing contacts with al Qaeda’s Ayman al Zawahiri and Hizballah’s Imad Mughniyah. Documents obtained from German federal prosecutors showing that 9/11 coordinator Ramzi Binalshihb traveled to Iran in January 2001 on his way to Afghanistan to brief Osama bin Laden on the plot’s progress. Evidence from the 9/11 Commission Report that a “senior Hezbollah operative,” which the Havlish evidence identifies as Hezbollah terrorist chief Imad Mughniyah, coordinated activities in Saudi Arabia and was present (or his associate) on flights the hijackers took to and from Beirut and Iran. 9/11 Commission Report at pp. 240-41. Mughniyah, a longtime agent of Iran, orchestrated a string of terror operations against the U.S. and Israel during the 1980s and 1990s. He was assassinated in Syria in February of 2008. “The families have waited a very long time for this day and they have been through a lot. So, I was greatly relieved that the families received an answer to the question that they asked me ten years ago: they asked who was the responsible party? How did this happen? Today a federal court judge has said that a principal responsible party is the Islamic Republic of Iran,” said Thomas E. Mellon, Jr. of the law firm of Mellon Webster & Shelly, the lead attorney for the Havlish plaintiffs. Attorneys emphasized that it is important to understand that Iran, Hezbollah, and al Qaeda formed a terror alliance in the early 1990s. The attorneys cited their national security and intelligence experts, including Dr. Patrick Clawson, Dr. Bruce Tefft, Clare Lopez, Kenneth Timmerman, Dr. Ronen Bergman, Edgar Adamson, and 9/11 Commission staff members Dietrich Snell, Dr. Daniel Byman, and Janice Kephart, as well as the published writings of Robert Baer, to explain how the pragmatic terror leaders overcame the Sunni-Shi’a divide in order to confront the U.S. (the “Great Satan”) and Israel (the “Lesser Satan”). Iran and Hezbollah then provided training to members of al Qaeda in, among other things, the use of explosives to destroy large buildings. The Iran-Hezbollah-al Qaeda alliance led to terror strikes against the U.S. at Khobar Towers, Saudi Arabia (1996), the simultaneous U.S. embassy bombings in Kenya and Tanzania (1998), and the USS Cole (2000). Shortly after the Cole attack, Iran was facilitating the international travel of the 9/11 hijackers. Unfortunately, President Obama and his inner-circle including Susan Rice and Valerie Jarrett had other plans for Iran. 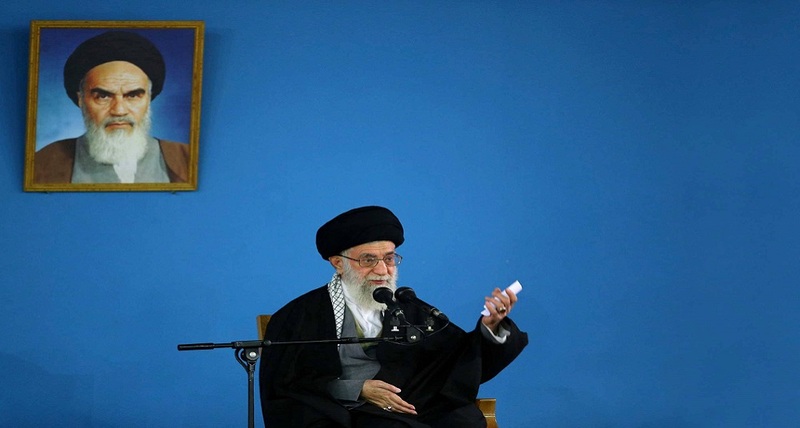 They did not wish to provoke the Iranian Supreme Leader Ayatollah Ali Khamenei or his government puppets in order to move forward on a “nuclear deal” between Iran and the United States’ coalition. In fact, instead of distributing the billions of dollars being frozen by the U.S., the Iranians were given the money and then-some, including U.S. taxpayer money secretly funneled to the Iranian dictators. Tuesday, Sept. 11, 2018, marked the 17th anniversary of the horrific terrorist attacks perpetrated by radical Muslims. The 9/11 Memorial & Museum hosted a commemoration ceremony to honor the 2,983 men, women and children killed in the attacks at the World Trade Center site, the Pentagon, and aboard Flight 93 in Pennsylvania. The ceremony took place on Tuesday, Sept. 11, 2017, beginning at 8:46 a.m. EST, at the 9/11 Memorial plaza at the World Trade Center site in lower Manhattan.